When I was growing up, I was forced to eat a lot of things that I didn’t want to eat. And my parents – I probably have to blame my dad for this one – were firm believers in the clean-your-plate philosophy. I have vivid memories of swallowing stewed tomatoes whole just to get them off my plate. Other foods that I learned to swallow without chewing? Cooked carrots, Brussels sprouts, and rutabaga. And there were probably more. Over the years, I’ve overcome my dislike for tomatoes. In fact, I adore tomatoes and would eat them with each meal if possible. I have learned to love Brussels sprouts, and they’re one of my new favorite vegetables. 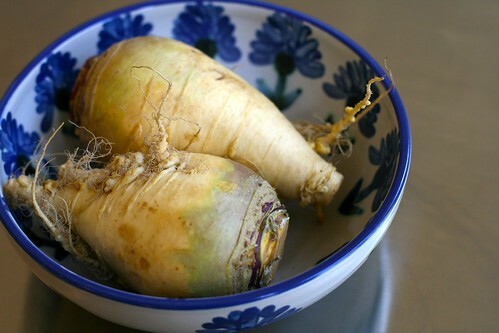 And, recently, I’ve learned to appreciate – and yes, even like – the rutabaga. 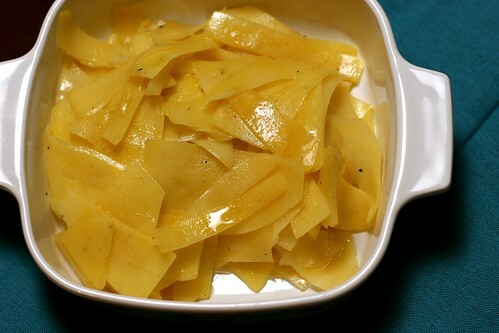 At a recent dinner, my dad made rutabagas for a side dish, and they were delicious. Even my six year old daughter ate them, and she even wanted seconds. 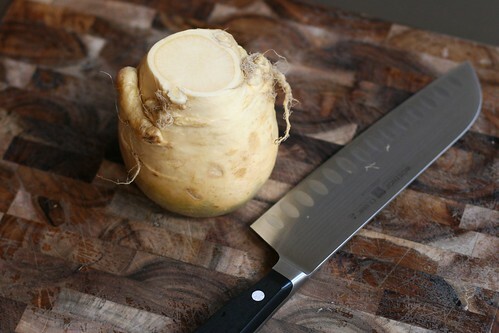 When I saw a recipe for shaved rutabaga in the latest issue of Food and Wine, I just had to make it. It was delicious – tender and slightly sweet, buttery, with just a hint of black pepper. Plus, I got to play with my new mandoline. And I didn’t lose a finger doing it. I still don’t like cooked carrots, in case you were wondering. So, how about you? Are there any vegetables you have had a love-hate (or hate-love or hate-hate) relationship with? Very slightly adapted from Food and Wine. 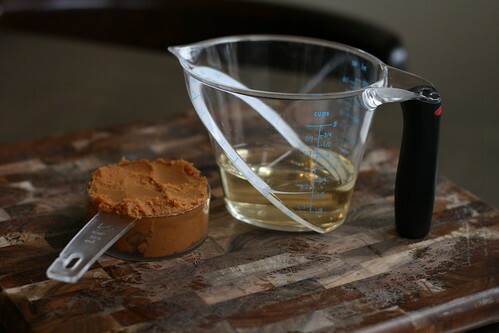 The recipe calls for 8 tablespoons butter and I only used 5 tablespoons. In a very large skillet, melt the butter. 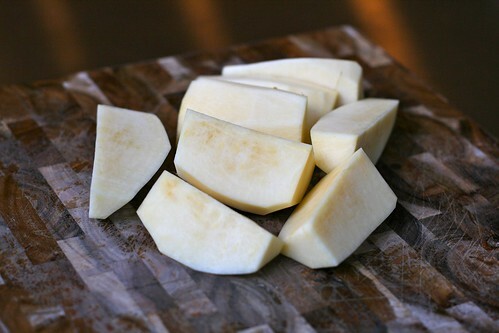 Add the shaved rutabagas, season with salt and pepper, and cook over moderately high heat, tossing, until tender and browned in spots - about 10-15 minutes (be sure to taste towards the end of cooking to make sure the rutabaga is to your liking). Season with pepper, toss, and serve. 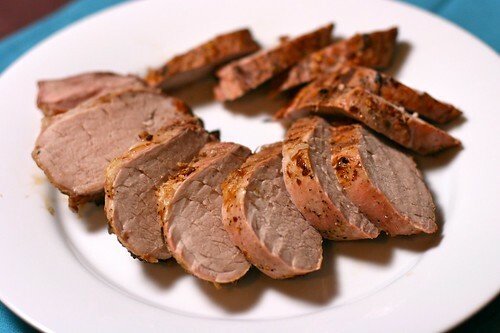 We love to make pork tenderloin, especially during grilling season when we can just throw it on the gas grill outside on our back patio. And here in Florida, the weather is suited for outdoor grilling most of the year. Well, this winter has been cold, but I really can’t complain all that much. 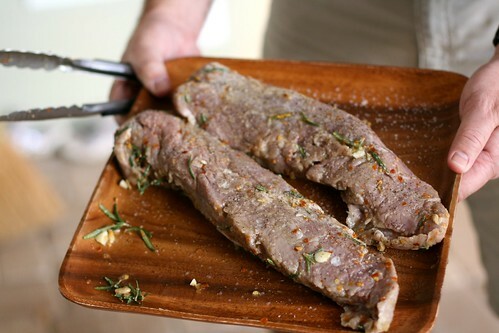 My brother-in-law turned us on to a really easy marinade for pork tenderloins using Dale’s Seasoning. It’s so simple just to marinade the pork for an hour or so before grilling, and the meat has wonderful flavor. In fact, it’s usually our go-to marinade for this cut of meat. 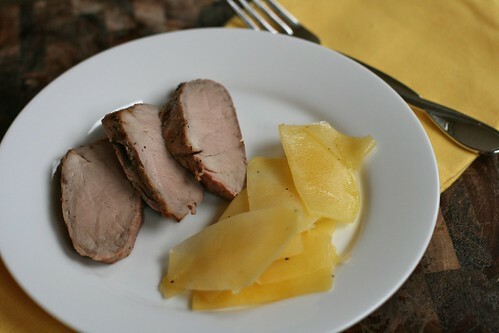 The April 2010 issue of Food and Wine magazine arrived in our mailbox this past week, and on page 48 is a recipe for Spicy Lemon-Rosemary Pork Tenderloin. Since we like lemon, rosemary, and most anything spicy, I thought we’d give it a try. 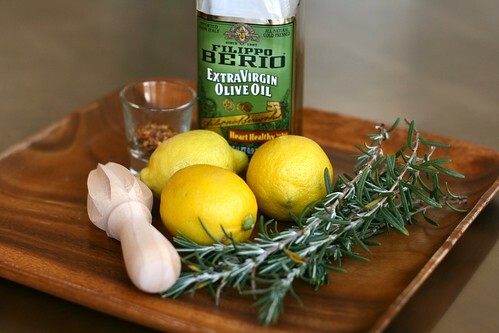 I’ve listed the recipe below, but it’s really very simple — olive oil, fresh lemon juice, rosemary leaves, crushed red pepper, and garlic cloves. And pork tenderloins. That’s it. The recipe called for searing in a skillet, but since I’d been on my feet most of the day, I convinced my husband to fire up the gas grill and take over for me. The verdict? The meat was very tender, with great flavor from the marinade. And it was spicy. Probably a bit too spicy for the kids, and maybe a tad too spicy for me, but my husband really enjoyed it. When he gets seconds, I know we’ve hit on a good recipe. He went for seconds of this. I had been thinking of a white wine to cut through the spiciness of the marinade, perhaps a dry Reisling. Food and Wine recommended a Syrah, so I decided to go with their suggestion. 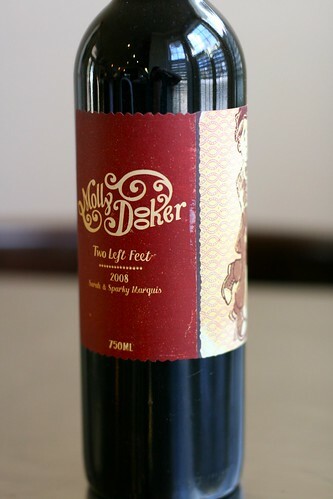 The 2008 Mollydooker Two Left Feet is a mostly Shiraz (Syrah) blend. Great wine, very big and bold, and high alcohol (16%). I think a Reisling would have been a better choice for these spices, though. 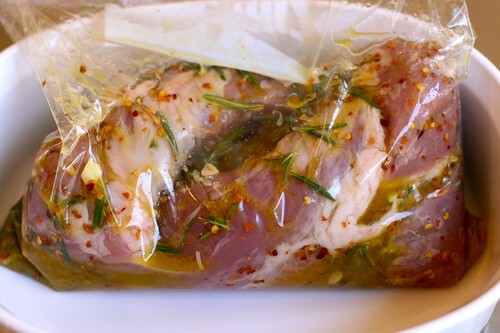 In a large resealable plastic bag, combine the olive oil, lemon juice, rosemary, red pepper, garlic, and pork. Press out any air remaining in the bag, seal, and refrigerate for 6 to 8 hours. Note: We let it sit for about 3 hours, which I thought was plenty. Let the pork stand at room temperature for 1 hour. Heat a gas grill until fully heated, about 10 to 15 minutes. Remove the pork from the marinade and scrape off most of the garlic and rosemary. Season the pork with salt and pepper. 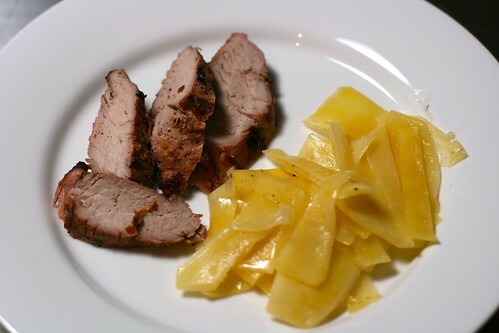 Put pork tenderloins on hot grill grate. Grill, turning occasionally, until thermometer inserted into the thickest part registers 145 degrees, about 20-25 minutes. Remove from grill, cover loosely with aluminum foil, and let rest for 10 minutes before slicing and serving. Only slightly adapted from Food and Wine. 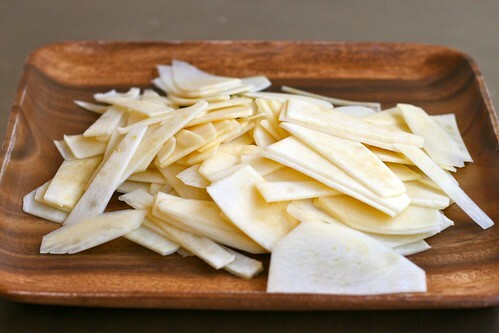 And if anyone is wondering, that side dish in the photos is rutabaga. A post on that is coming soon. One of my favorite websites for recipes is Food 52, the brainchild of two New York food writers, Amanda Hesser and Merrill Stubbs. The recipes are from home cooks across the country, and selected recipes will wind up in a published cookbook. Since I never create my own recipes, I don’t contribute any recipes to the site (I’m more of a recipe follower, and I’m evolving into a recipe-modifier, learning to add my own flair). But, I am often inspired by the recipes that others post there. 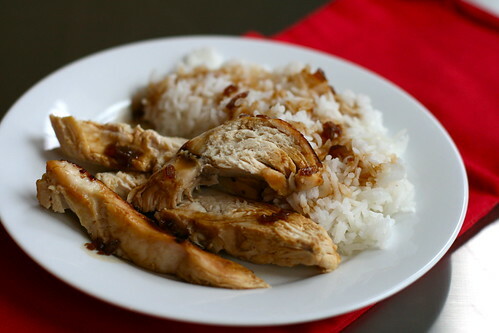 Misoyaki roast chicken with shoyu onion sauce, posted by timWuNotWoo caught my eye with it’s unique flavors. It generated a lot of attention, too. One of my favorite food bloggers, Jenn of Last Night’s Dinner, posted about it here. So of course I had to make it. My first hurdle was finding red miso paste. 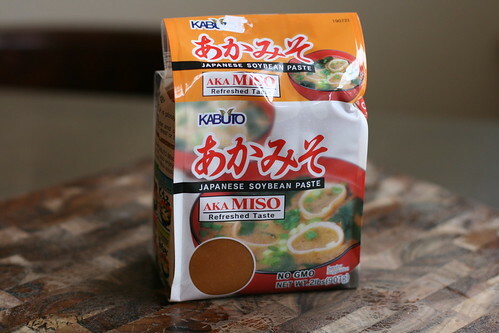 At two grocery stores in my town, including the local Fresh Market, I was handed miso soup when I asked about miso paste. With some diligence, and a trip across town when I got off work early one day, I managed to find it at the Chinese grocery. Turns out they have a lot of neat things there, including the miso paste. 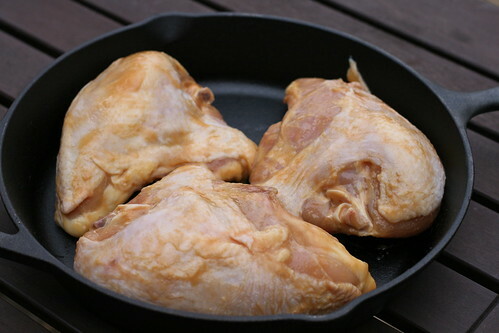 Instead of a whole chicken, I used bone-in, skin-on chicken breasts. I let the chicken sit in the marinade for about six hours, and I wiped off the bulk of the marinade prior to putting the chicken in the oven. According to the recipe, the miso will burn if it’s not scraped off. Turns out that’s true. 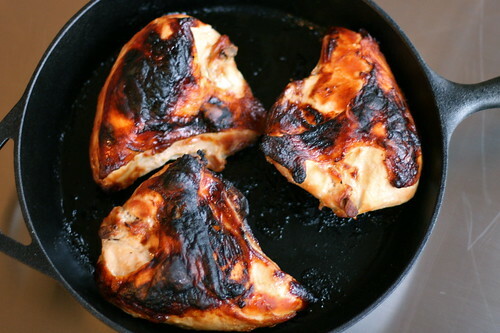 The chicken was moist, with great flavor. 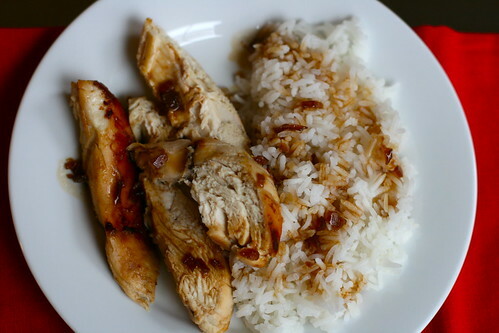 The onion sauce was delicious over the roast chicken breast and the jasmine rice that I served it with. Umami all the way. For the recipe, please visit Food 52 yourself. It’s a great site to check out. The recipe is here.